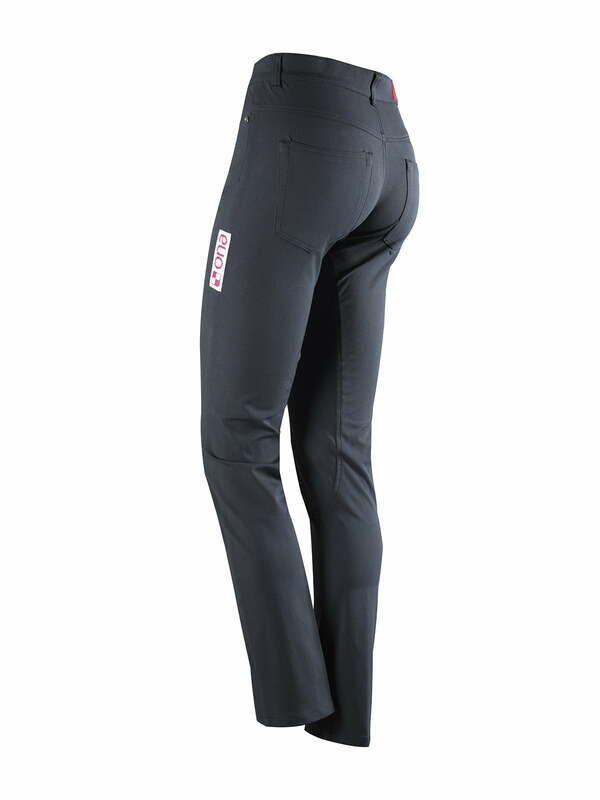 Lightweight, stretchy and ready to ride, Ona Constans Practise pants are designed for full unrestricted mobility. 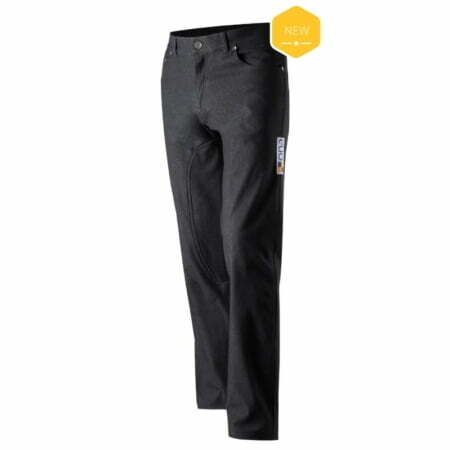 These performance riding and every day yard pants are made in a combination of technical fibres with a moisture wick and water repellent finish. 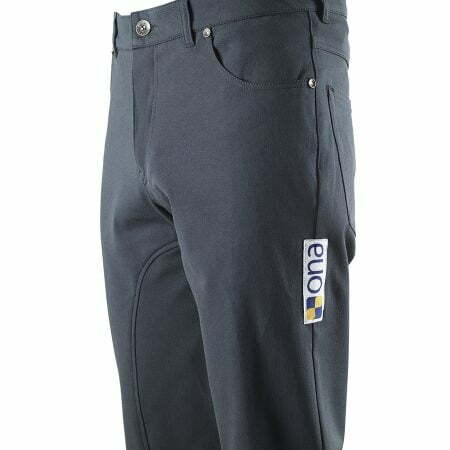 Constans Practise pants feature double fabric (abductor) panels which reduce friction giving maximum durability. 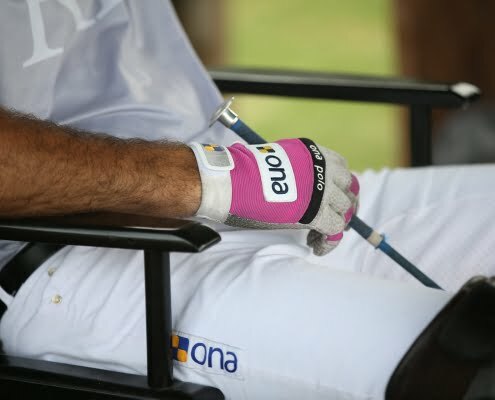 The anatomical shaping of the panels minimises volume and gives a superior range of motion plus added comfort. 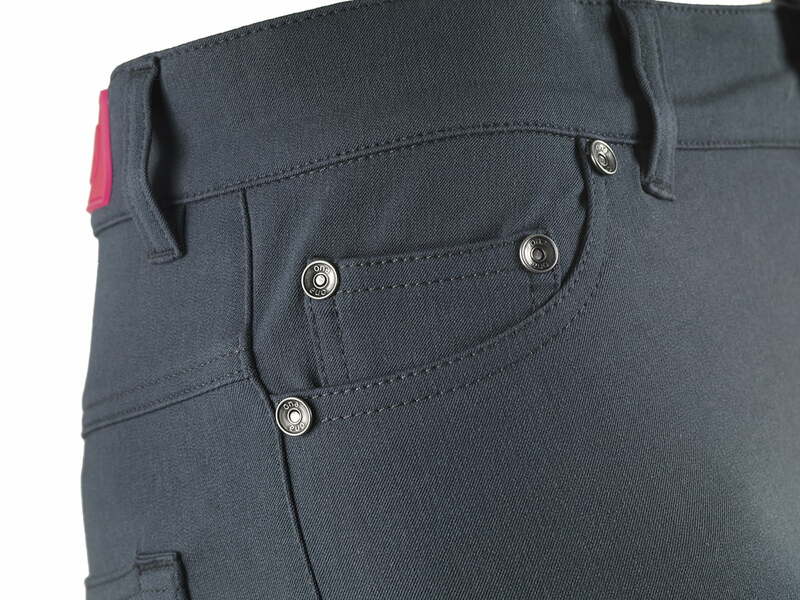 Styled on the iconic 5 pocket denim pants and cut from Schoeller’s Bluesign smoothing and sculpting stretch softshell to retain its shape over time. Schoeller’s Bluesign softshell is a hard-wearing, durable, friction-resistant, stretch woven fabric with a smooth outer face and a soft inner face that is comfortable next to the skin. The light weave has an outstanding level of shape retention as well as distinct, permanent four way elasticity. 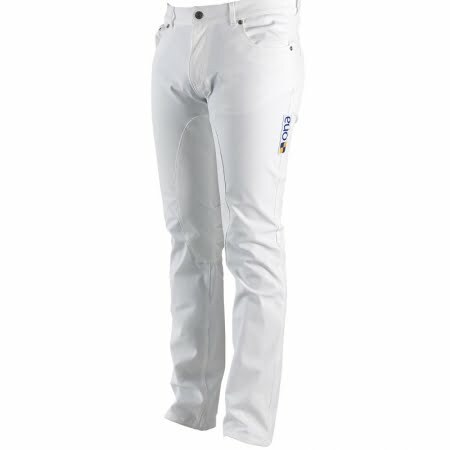 Breathable, windproof and moisture resistant, this fabric tackles polo in all weather conditions. Tailored to have a close but non-constricting fit, this natural mid rise pair has incredible control and hold for a perfected silhouette. 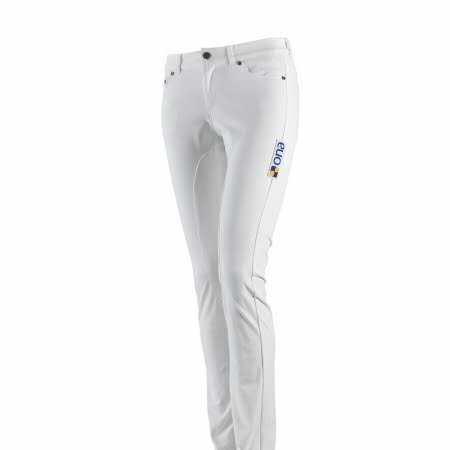 The Constans Pro is slim through the hip and thigh with a slightly tapered leg that lends to an easier boot fitting. 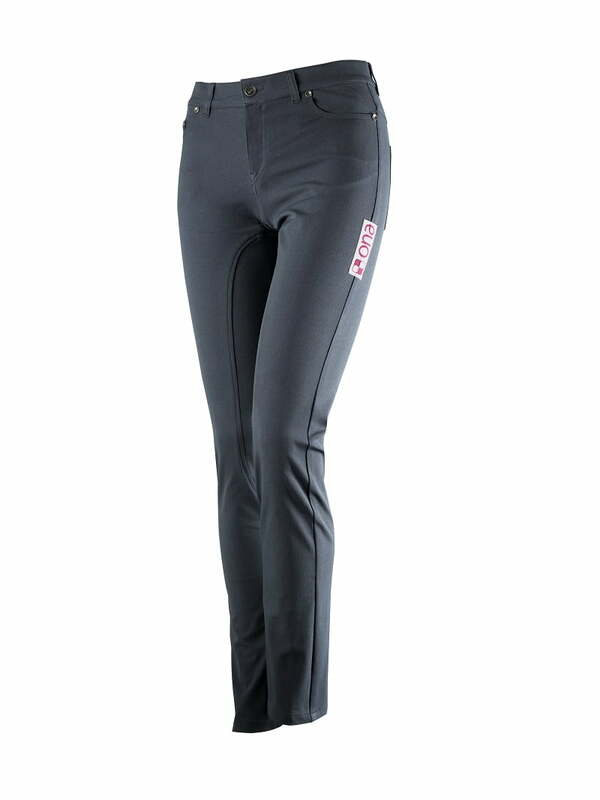 The leg lengthening Grip panels and straight leg expertly mold to the body for a more flattering profile. 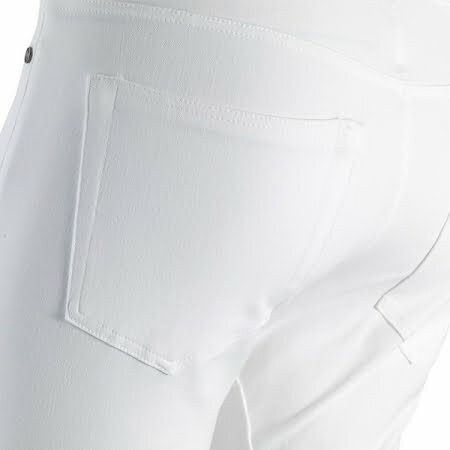 These whites strike the perfect balance between fitted and straight. 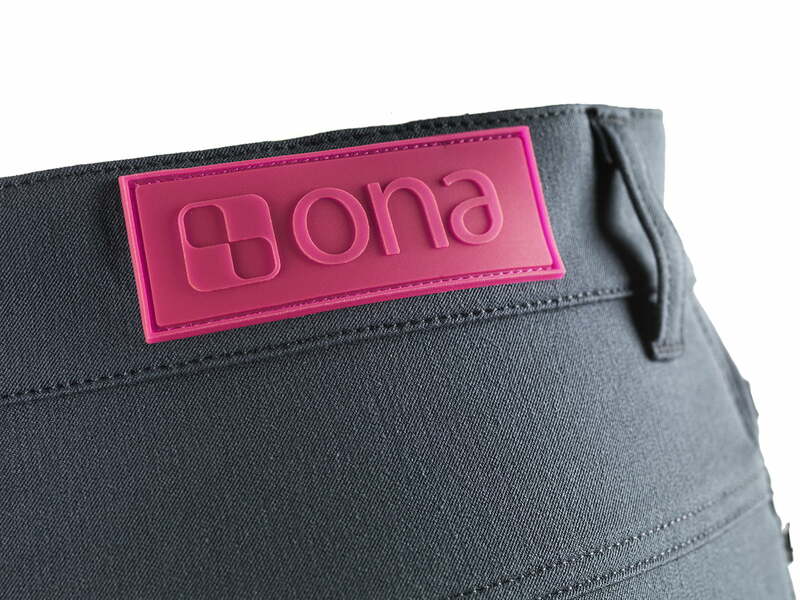 Complemented with ONA Polo signature silver coloured button, rivets and zip fly.